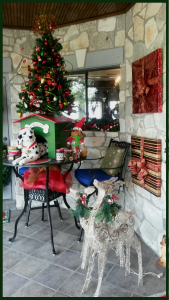 Every year my home is ‘over the top’ decorated for the Holidays!! 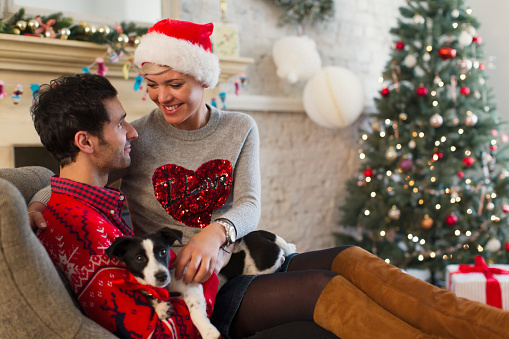 The big QUESTION is: Is my house safe for my dogs? Dogs are fascinated by the smells and textures of all the new things that are now appearing all over the house. This is normal curiosity. Make sure your tree is in a sturdy stand and attach it to a window or wall with a clear string. 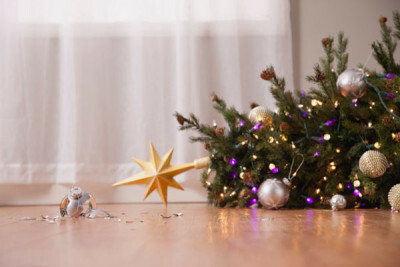 Many years ago I had an adolescent Golden Retriever, he pulled the Christmas Tree over onto himself. 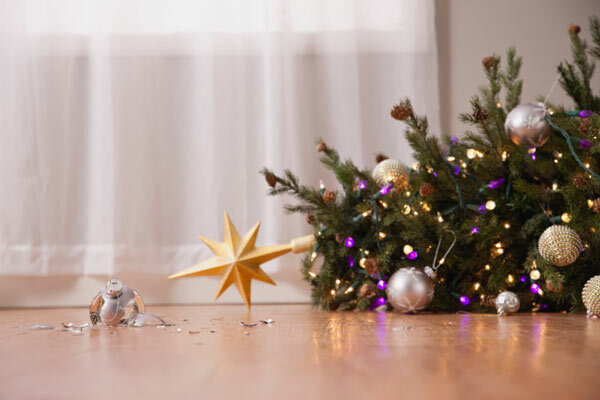 At this point I wasn’t concerned about many broken ornaments…my concern was my wonderful dog being traumatized. He was fine, he moved very quickly and was only hit by part of the tree. 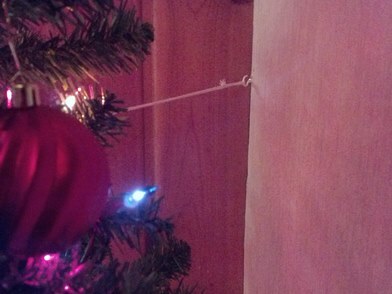 My tree is secured with a screw that has been placed on the side of my fireplace. I also have other trees secured to air vents and curtain rods. 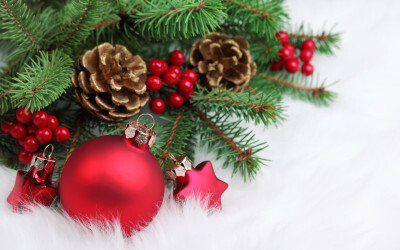 Look at the round ornaments on your tree. Do you think they look like a ball to your retriever? Yes, it does! 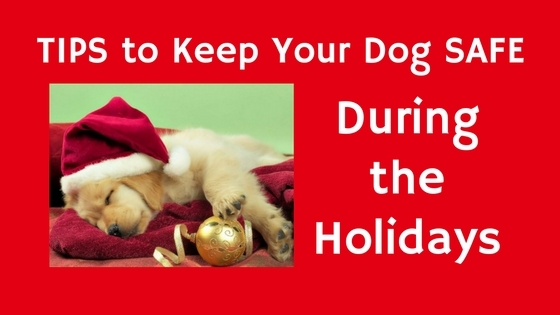 The problem is the dog ingesting it, and ingesting things like ribbons, gift wrap, tree lights, or even chewing on those extra electrical cords we have everywhere during the holidays. 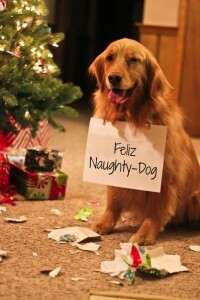 Remember one emergency trip to the veterinarian can ruin the Holiday Fun! 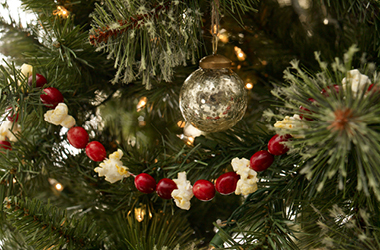 Stay away from decorating with candy canes, pop corn or cranberry garlands on the tree. The smells are just too tempting to your dog. 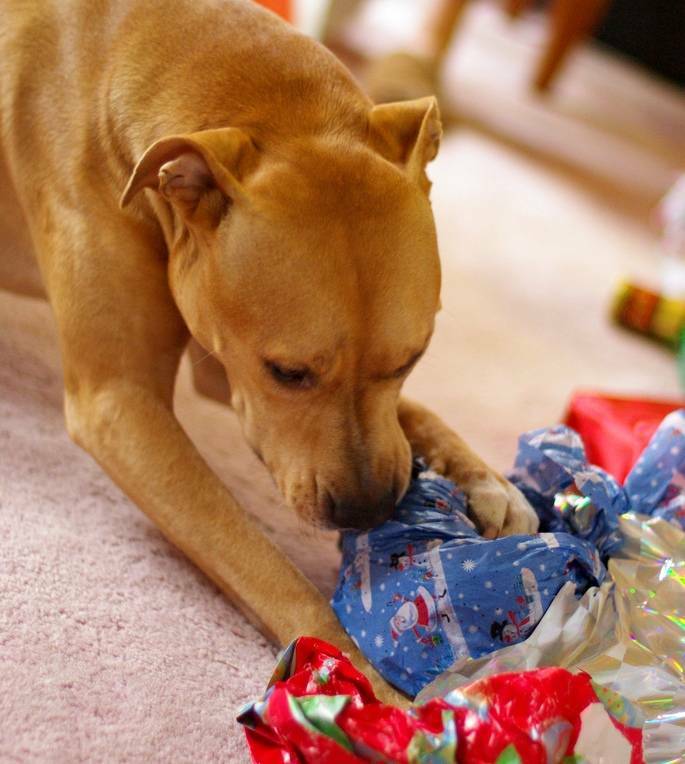 Rich fatty foods can cause stomach problems for your dog. Caution guests about feeding your dog scraps from the table. 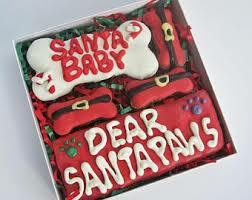 Also don’t let Fido eat all of his treats or gifts on the same day. 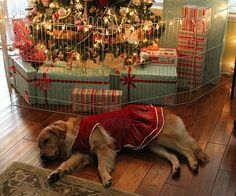 Use a baby gate to keep your dogs out of the Christmas room when not being supervised, or put your dog in a crate. Another idea is to put a play pen fence around the tree. Don’t forget to relax and spend quality time with your dog. Finally, it is a good idea to keep your local veterinary emergency room phone number handy with driving directions to the location.